Social learning and personalization are the two hottest trends in the field of e-learning and microlearning. Research Studios Austria and the publisher Facultas just finished a research project exploring deeper into these topics. The project was funded by FFG (Austrian Research Promotion Agency) under the programme “Innovationsscheck”. It was conducted by Research Studios Austria FG for the Austrian scientific publisher Facultas between 2015 and 2016. Facultas has its own app realized by KnowledgeFox already in app stores since 2014.
o Socially shareable: The sharing of courses, single knowledge cards and course graduations in learning modes as well as of game results/winnings in knowledge matches is crucial for a successful app. These contents or successes can most easily be shared on Facebook or with E-Mail. o Personalized: Private tags for knowledge cards, individual course starting pages or „Ask a friend“ jokers are three innovative ways to personalize the content. o Easily searchable: Search and index functions are important for customers’ access and navigation. o Optimized for search engines: Search engine optimization is a further tool to popularize (the content of) a learning app. Tools are the integration of canonical links, the usage of description meta tags and the description of images with alt-tags. o Permanently improving with the help of the tracking of users’ behavior, for example with Google Analytics, but also with the help of users giving feedback, improving existing knowledge cards or adding new ones. 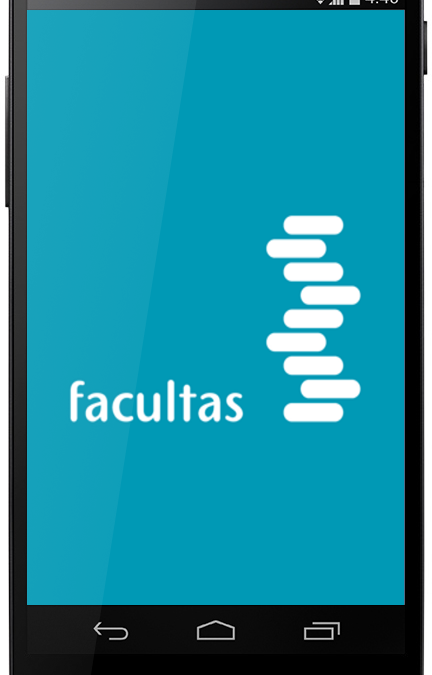 o Content as “social currency”: The Facultas app features courses with costs and for free. Our research has shown that there is no clear correlation between the pricing and the total number of users. Courses are attractive if the content is available as „social currency“, the fun and game factor plays a crucial role (gamification) and if the content is easy to find (SEO) and access (searchability).